Awesome Play-Doh Candy Cyclone Creations! 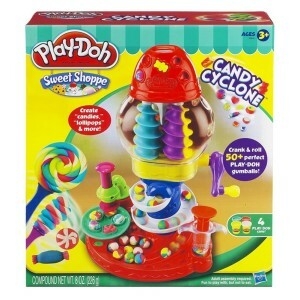 Your child’s imagination will run wild with their very own Play-Doh Candy Cyclone! Make sweet-looking confections at playtime with the Play-Doh gumball machine! 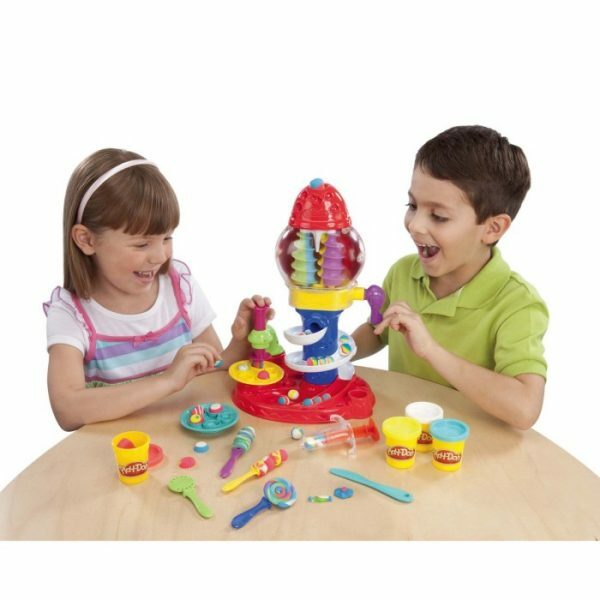 The Play-Doh Candy Cyclone play set comes with everything your little confectionery designer will need to create gumballs, lollipops, licorice swirl sticks and so many more colorful candy creations! These sweet-looking treats will provide hours and hours of fun for your little one! With the gumball maker kids (and adults alike) can create over 50 colorful Play-Doh Gumballs. To add to the fun you can pop the gumballs into the stamping station to press fun colorful candy shapes. Toss them into the licorice press and squeeze out yummy-looking swirly licorice sticks. Twist and turn these sticks into lollipop shapes with the included reusable lollipop sticks! With all the different options and creations, the Play-Doh Candy Cyclone will provide endless fun for you and your little one! Welcome to the SWEET SHOPPE! Create your own Play-Doh Sweet Shoppe where the candy-looking possibilities are endless. The Play-Doh Candy Cyclone comes with everything you need to stamp, sculpt, press, twist and shape the Play-Doh into any kind of colorful candy-looking creation you can imagine! Your child will become a Sweet Genius in no time with this treat making set! 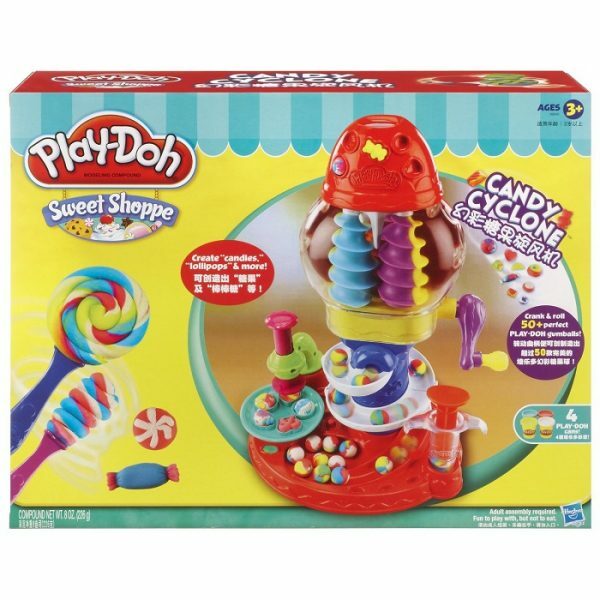 The Play-Doh Candy Cyclone Play Set comes with a crank gumball maker, stamper, licorice press, plastic knife, 2 dishes, 4 lollipop sticks, base, globe, ramp, instructions and 4 cans of Play-Doh! *Contains wheat. Nontoxic. Conforms to astm d-4236. *Always put compound back in container after play.